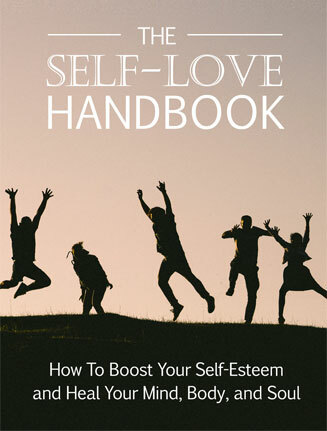 Self Love Handbook Ebook and Videos comes with Master Resale Rights and a huge upsell package loaded with quality self improvement niche resell and profit. Self-love is the ultimate way to boost your self-esteem and become a fully healed and integrated human being. People often come at the idea backwards. They look at attributes such as the way that a confident person walks or observe their traits. But fundamentally, all radical change begins from within. You then start to really value yourself as a powerful creator of your own reality and deserving of love and respect from everybody. Selflove is the opposite of selfish. You cannot love another person unconditionally unless you love yourself first. Love is the ultimate building block of the entire universe. Your ability to love yourself and others is all that really matters. How to get there is another matter entirely. For this, you have to find out who you are and love yourself unconditionally. 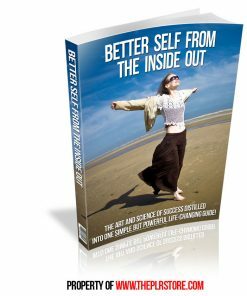 Ebook – 61 page PDF that explains how to boost your self esteem and heal your mind, body and soul. 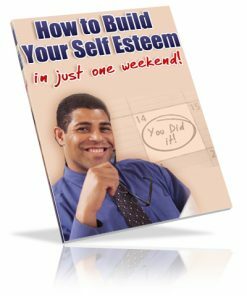 Covers, self esteem, confidence and much more. Since it’s PDF, you’ll know your buyers won’t have any trouble learning and growing. Table of contents is listed below. 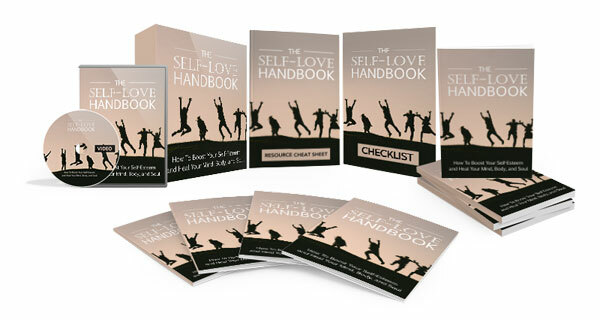 Reseller Kit – You’ll be getting everything you need to resell the Self Love Handbook Ebook and Videos package with a quality sales page and a product download page. Just add your payment link and the product download link, upload the two web pages and it’s ready to make you money on automatic. Checklist – 6 page PDF that was made to help your buyers check off each step and important part of the system, to help them stay on track. Resource Cheat Sheet – 5 page PDF that includes links to related resources such as books, articles, courses and youtube channels. Optin Page – Modern two set landing page you can use to build yourself a list in the huge self improvement niche. Simply copy and paste your optin code into the page, upload and it’s ready to build you a list on auto-pilot. Standard HTML pages so it’s easy to edit if you wish. 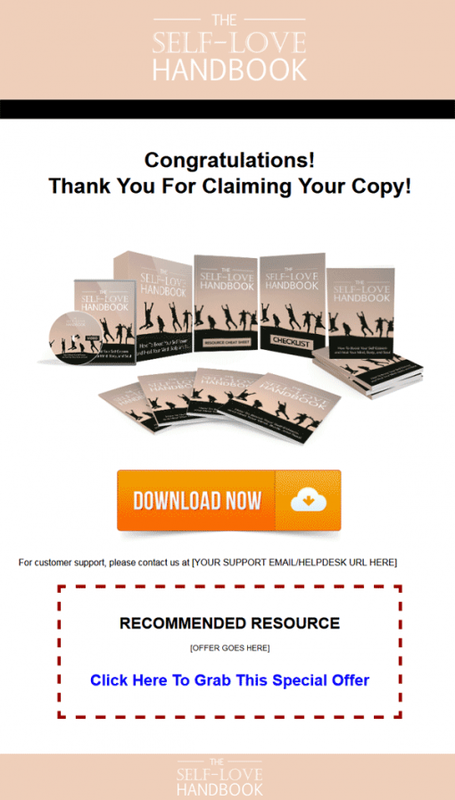 Comes with a ready to use thank you or download page. 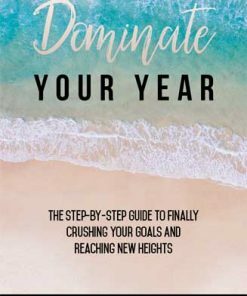 Lead Magnet – 8 page PDF entitled, “Simple Self Love”, which gives your new subscribers a taste for the content, leaving them wanting more, which could be your main Self Love Handbook Ebook and Videos book or even your upsell. Plus think of all the related products and services you could promote to this kind of list. Graphics – A ton of extra images here with covers in box, bundle, checklist, DVD, ebook, ebook stacked, lead magnet, report and resource cheat sheet. Alto flat version, arrows, buttons and more. 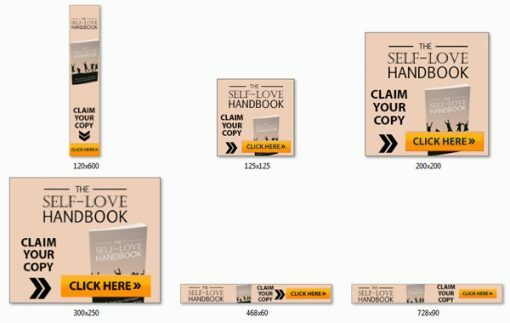 Banners – 6 professional Self Love Handbook Ebook and Videos banner images in the popular sizes of 120×600, 125×125, 200×200, 300×250, 468×60 and 728×90. They come in both GIF and JPG. 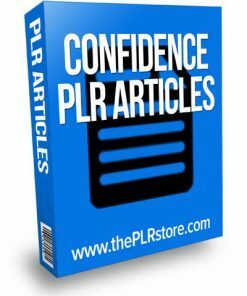 Articles – 10 tightly related articles you can use as content or promotion. They come in both Word DOC and plain text so you know they are easy to edit. Copy and paste ready to use. Email Swipes – 3 pre written autoresponder messages including, lead magnet – Opt-in, Sales page (Short Copy) and sales page. You also get extra subject lines you can use to split test and improve your optin conversions. Social Media Images – 10 quality images you can post on your social profiles to drive more traffic and sales. They have a background image with a text quote overlay. Of course not. You should know better by now. You’ll also be getting a huge upsell or upgrade package that was crafted to make you even more money from your buyers. It’s a built in sales funnel with tightly related material. Plus the upsell content comes in even more popular formats including video, so it’s sure to help you make more money from your buyers. 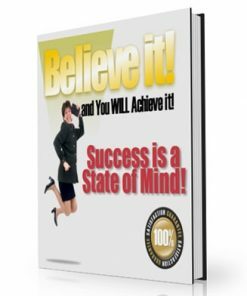 They trusted you enough to buy your ebook, so they are more likely to pick up the upsell as well. Video’s – 10 professional MP4 videos, that cover the ebook material in a visual format. Like I have to remind you how popular video is. So it’s the perfect upsell to the ebook. Since the videos come in MP4 format, you know they are easy to use. 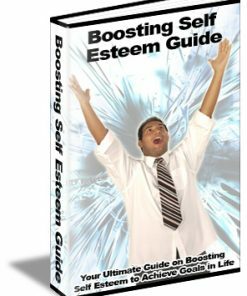 Upsell Sales Kit – All you need to set up the Self Love Handbook Ebook and Videos upgrade package with a professional sales page and a upsell product download page. Just insert your upsell payment link and the product download link, upload the two web pages and it’s set to make you money on automatic, even while you are sleeping. 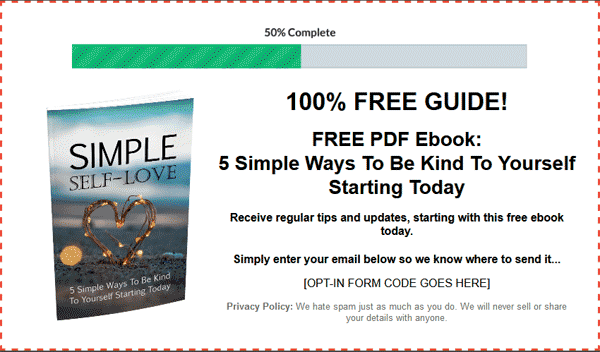 7 Day Autoresponder Series – 7 pre written email messages that are ready to use. Simply copy and paste them into your autoresponder service and you are done. No struggling writing your emails, we’ve already done the work for you. In super easy to edit plain text format. Special Report – 10 page PDF entitled, “The 5 Minute Guide To Self Love“. 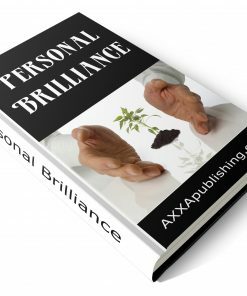 Use it to build yourself a list and promote your ebook and upsell. Build an asset that you can use to promote related products and services into the future. Affiliate Tool box Page – Here is how you can make even more by recruiting affiliates to sell your product for you. Best yet, you don’t have to pay them unless they make a sale. Plus it comes with the promotional material they need to sell your ebook for you. Social Media Swipe Kit – 4 promo’s here including, Email Signatures, Facebook and Google Plus Posts, Forum signatures and Twitter Tweets. All in easy to use and edit plain text formats. Top Forums and Blogs – 2 PDF’s, one that lists the top related blogs in the net and the other that lists the top forums and groups related to the topic. Keywords – Narrow in on those perfect buying customers with this list of related keywords. You get PDF report, keywords broad excel sheet and keywords narrow excel sheet. Presentation – 4 files here including, google presentation, PDF, Power point and plain text. Featured Images – 5 high quality graphics that are perfect for blog in the size of 600×314, which fit great on posts. You also get a featured box advertisement in 596×605.